17% of those currently working in Technology in the UK are female. At AI that’s something we’re working to increase. So, when we had to opportunity to nominate two of our tech team to attend ‘She Believed She Could, So She Did’, a workshop focussed on female leadership, we jumped at the chance. 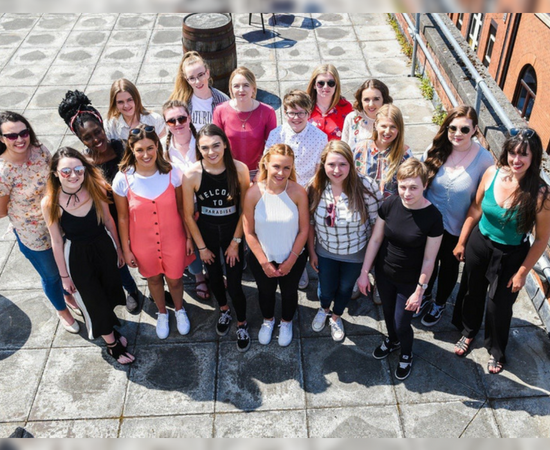 The two-day course, organised by the Department for Communities and Politics Plus, was aimed at women aged 18-25 who wanted to learn more about leadership, civic representation, confidence and communication. The goal was to encourage young women to represent and lead at home, at work, in their community and in public life. At AI we’re passionate about fostering talent and promoting career development. ‘She Believed She Could, So She Did’ was a fantastic way for us to encourage the potential of two of our tech team, Chelsea McMullan and Maeve Devlin. “I spotted the ‘She Believed She Could, So She Did’ workshop on a LeanIn group and I knew it would be an amazing opportunity for some of the young women in AI. “We nominated Maeve and Chelsea because we spotted massive potential in them right from their placement year interviews and they have exceeded our expectations at every opportunity. They are both highly motivated, intelligent young women who will be future leaders in our organisation. “I was one of only 20 girls on my computer studies course out of a class size of 160+. I love working in tech, but it can feel male dominated sometimes. I’m glad that I was nominated to attend ‘She Believed She Could, So She Did’. The future of tech leadership has never looked so bright.